General Election Runoff was held Tuesday – 12/04/2018. All 31 Macon-Bibb County Poll Locations were open for voting. The Secretary of State’s unofficial results can be found on their Elections Results Page. Official results will be posted as soon as they are certified by Secretary of State. Thank you for your participation in the 2018 Election cycle. Daily Early Voting started, Monday – November 26th and finished on Friday – November 30th. Calendar excludes the specially called ‘Special Election for the District 1 Commission Seat’ held on 05-22-2018 and the Run-Off held on 06-19-2018. There was no Advance Early Voting on Wednesday – July 4th. This schedule also excludes the insertion of Sunday Voting for the November 6th General Election to be held on October 28, 2018 between 9AM – 4PM. There was a Special Referendum for Sunday Alcohol Sales held on 11-06-2018. A General Election Run-Off was held on Tuesday – December 4, 2018. Enter you address to find information and directions to your voting location. 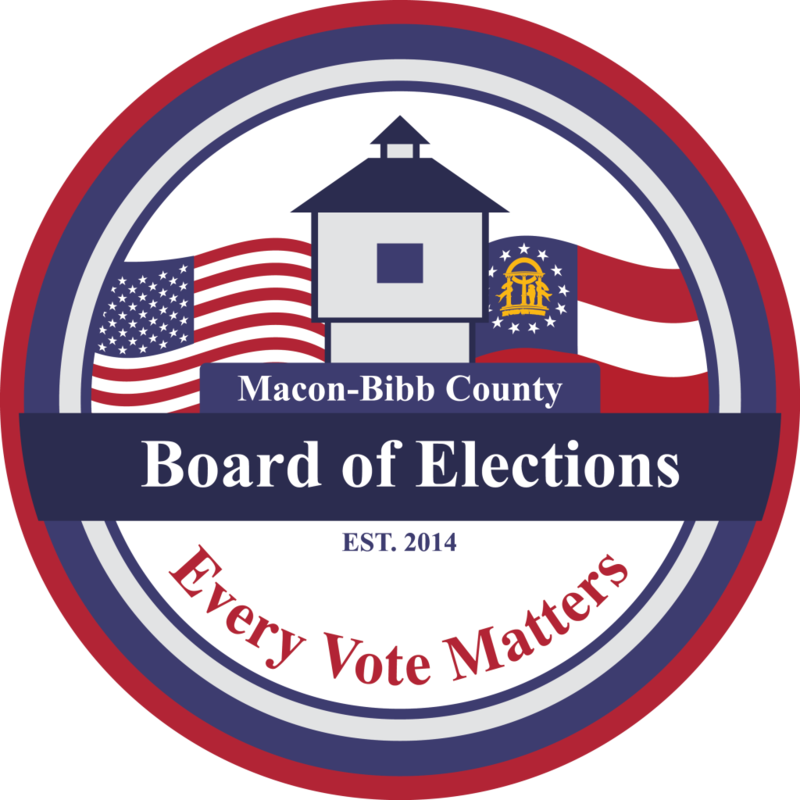 URL: Welcome to the Macon-Bibb County Board of Elections The Board of Elections consists of a five member Board. 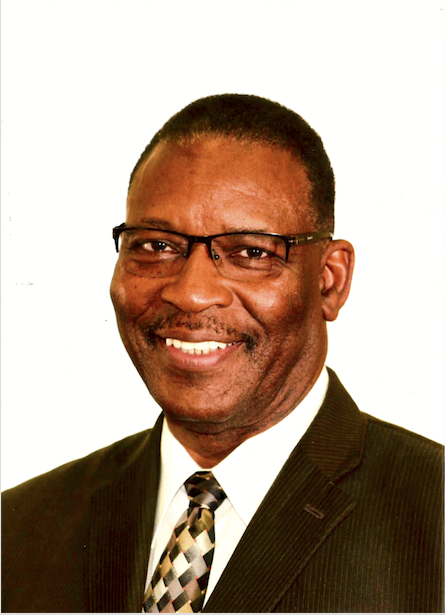 Two members are appointed by the Republican Party – Two members by the Democratic Party – A fifth member shall be appointed by the Macon-Bibb County Commission from a list of nominees voted on by a majority of the four partisan appointees. Members are appointed for two year terms. Board Meetings are held the third Thursday** of each month at 4:00 p.m. at the Macon-Bibb County Board of Elections Office located at 2525 Pio Nono Ave. Suite 1200, Macon, GA 31206. The Board of Elections consists of a five member Board. 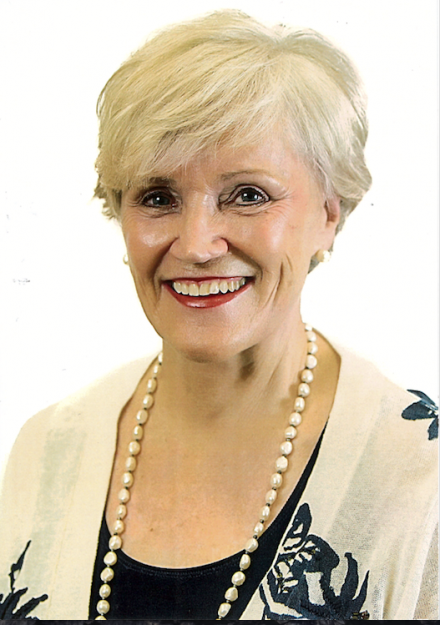 Two members are appointed by the Republican Party – Two members by the Democratic Party – A fifth member shall be appointed by the Macon-Bibb County Commission from a list of nominees voted on by a majority of the four partisan appointees. Members are appointed for two year terms. Board Meetings are held the third Thursday** of each month at 4:00 p.m. at the Macon-Bibb County Board of Elections Office located at 2525 Pio Nono Ave, Suite 1200 Macon, GA 31206. **In months which an election is held the Board Meetings are held at 5:30 PM on the Friday following the election. ** Please Note,:Meetings are subject to change, please call 478-621-6622 to verify date and time. 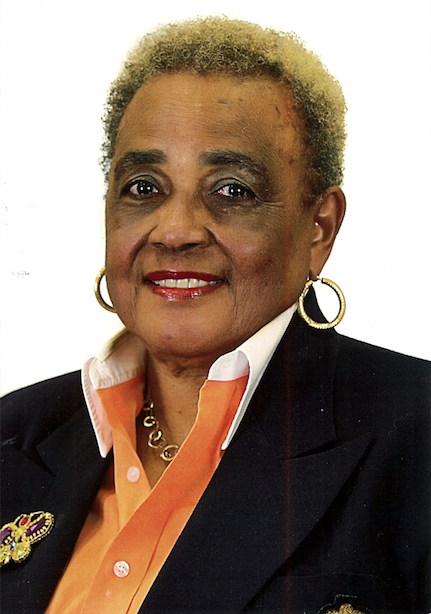 Chairperson Rinda Wilson – MBC BOE Board Member representing the Republican Party. 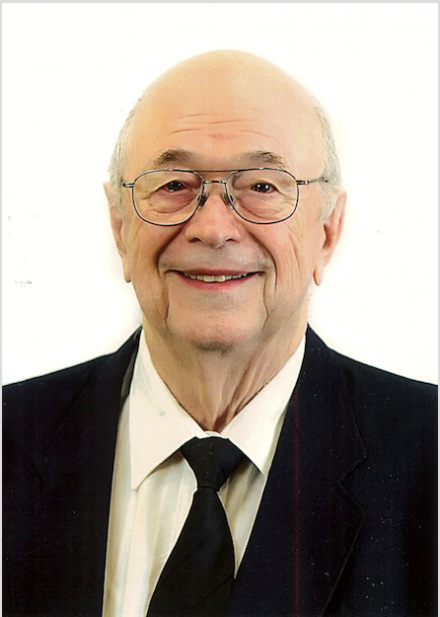 Herbert Spangler – MBC BOE Board Member representing the Republican Party. 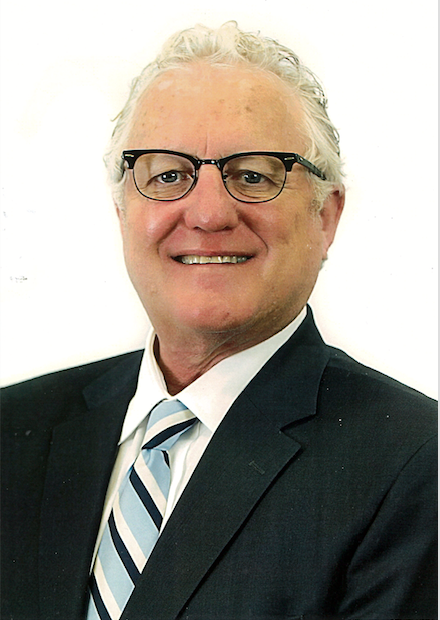 Mike Kaplan – MBC BOE Board Member serving as the Post-At-Large representative. 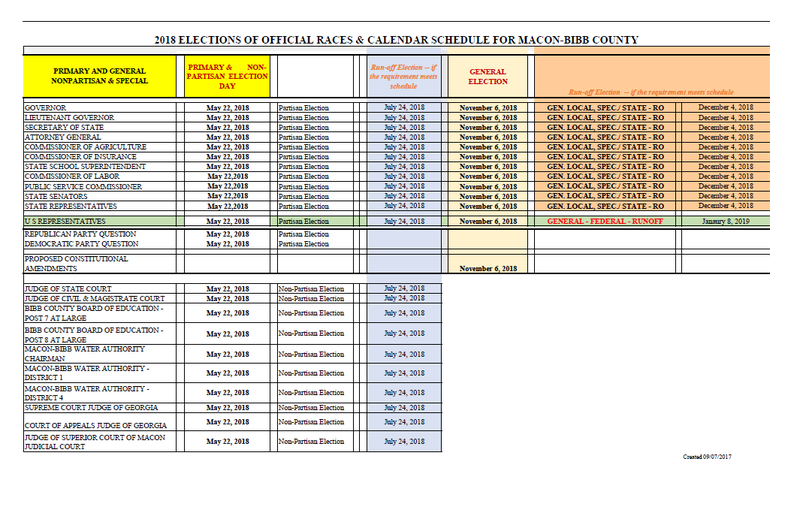 All 31 Macon-Bibb County Poll Locations Will be Open For Voting! Early Voting will be held Monday – November 26th to Friday – November 30th at The Board Elections Office from 8:30PM-5:30PM! There will be no Weekend Voting, nor will be there be any voting on Monday – December 3rd! At least 18 years of age on date of election; 17 ½ at registration. A resident of Georgia (Bibb County). No standard length of residency is required. No felony conviction – unless rights have been restored. 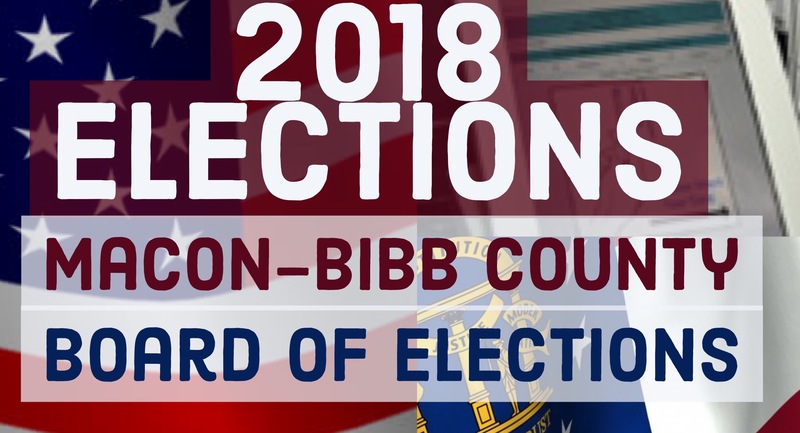 Notify the Board of Elections of a change of address within Bibb County. Notify the Board of Elections if you change your name. (NOTE: Upon registration in Bibb County, previous registration will be cancelled.) A separate registration for city elections is not required. Registration Deadlines Voter registration cutoff is always thirty (30) days before date of primaries or general elections. 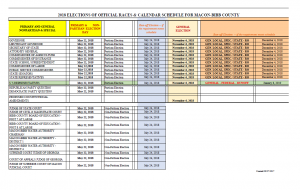 Date varies for special elections. 2018 General Election Deadline is Tuesday – October 9th. Voter Search Information for Georgia Regisration. 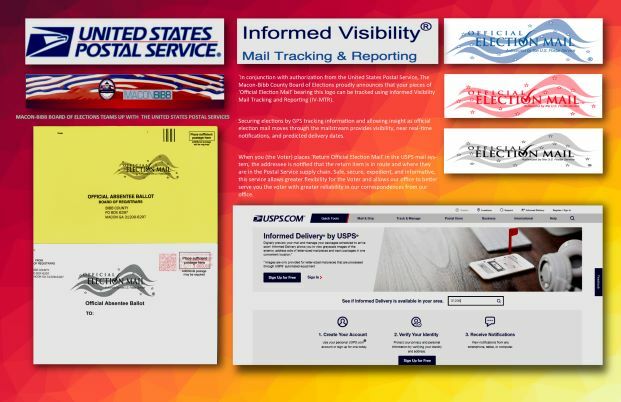 Absentee Ballot Applications can be accepted by email, faxed, in person and by mail. Name and address as registered. Address for delivery of ballot. Any elector who is unexpectedly hospitalized on the day of an election may call the Board of Elections (621-6622) by noon, and an absentee ballot will be delivered to the elector. Relatives may request absentee ballots for electors temporarily out of the county or physically disabled by submitting an absentee application in person or by mail to the Board of Elections. To print out an Absentee Ballot Application, please go to the State of GA My Voter Page. Use the following link to pull up the Absentee Ballot Application: Mail In Absentee Ballot Application. The application may be filled out and printed from this page. 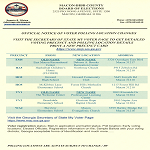 You may mail the completed application to: Macon-Bibb County Board of Elections P.O. Box 6297 Macon, GA 31208 or fax it to (478) 621-6119. Absentee Applications must be received by the Board of Elections office no later than 5:30 PM the Friday preceding each election. Published daily during the scheduled Early Voting period which commenced on 11/26/2018 to 11/30/2018 and the period ended before the General Election Day which takes place on Tuesday – 12/04/2018. No Saturday or Sunday voting took place during this voting period. 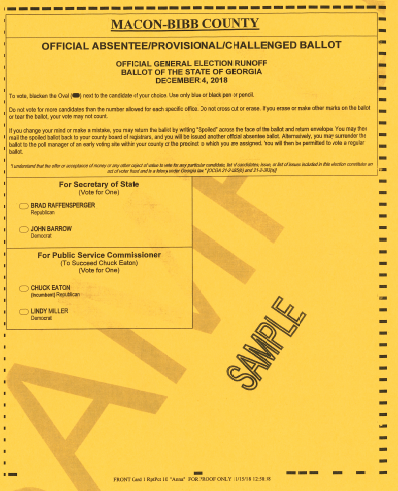 The final day of Early Voting was held on Friday – November 30, 2018. Friday 11/30/2018 1,426 4,627 Friday is the Final Day of Early Voting. Published daily during the scheduled Early Voting period which took place between 10/15/2018 to 11/02/2018 when the period ended before the General Election Day which took place on Tuesday – 11/06/2018. Saturday and Sunday voting took place during this voting period over the weekend of October 27th and October 28th. The final day of voting was held on Friday – November 02, 2018. Published daily during the scheduled Early Voting period which commenced on 07/02/2018 to 07/20/2018 when the period ended before the General Primary and Non-Partisan Runoff Election Day which took place on Tuesday – 07/24/2018. No Saturday voting took place this voting period.The final day of voting was Friday – July 20, 2018. Friday – 06/15/2018 was the last day of Advance Voting for the June 19, 2018 the Non-Partisan Commission District 1 Special Election. District 1 Runoff is being held today on 06/19 at select Howard precinct polling locations (Howard 3 [HO-3], Howard 5 [HO-5], Howard 6 [HO-6], and Howard 7 [HO-7]. 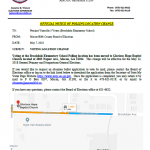 Published daily during the scheduled Early Voting period commencing 06/11/2018 to 06/15/2018 when the period ends before the Commission District Special Election Day on Tuesday – 06/19/2018. Friday – 05/18/2018 was the last day of Advance Voting for the May 22, 2018 General Primary and Non-Partisan Election as well as the Non-Partisan Commission District 1 Special Election. District 1 Runoff will be held on 06/19. Published daily during the scheduled Early Voting period which commenced on 04/30/2018 to 05/18/2018 when the period ended before the General Primary Election Day on Tuesday – 05/22/2018. Saturday voting was available on 05/12/2018 from 9AM-4PM. Advanced Voting has been completed for the May General Primary and Special Election. Effective for the May 22, 2018 General Primary and Nonpartisan General Elections, new polling locations replace now closed locations at Hephzibah Children’s Home, Howard High School, McKibben Lane, Brookdale, and Skyview Elementary Schools. Voters in those locations will now be assigned to their new polling locations at Northway Church (Howard 1 – HO1), Howard Community Club (Howard 2 – HO2), Forest Hills United Methodists Church (Howard 5 – HO5), Glorious Hope Baptist Church (Vineville 3 – VV3), and Macon Evangelistic Church (Warrior 2 – WA2). 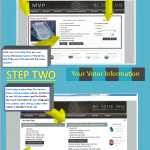 Please use your voting information available on your Voter Registration Card or online at The Georgia My Voter Page to help identify your new your new polling location. Regarding the permanent closure of the Hazzard 5 (HA5) Polling Location has permanently closed. 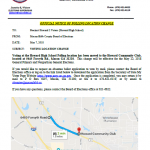 Thumbnail image of the MBC BOE Letter regarding the new Howard 2 (HO2) Polling Location. 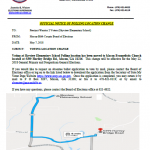 Thumbnail image of the MBC BOE Letter regarding new Vineville 3 (VV3) Polling Location. Thumbnail of the MBC BOE Letter regarding new Warrior 2 (WA2) Polling Location. Voters who cast their votes in person must show one of six forms of photo identification. If the voter votes BY MAIL, they DO NOT need a photo ID. Photo ID rules ONLY APPLY to IN-PERSON voting by absentee, advance voting or at the polling place on Election Day. Documentation showing the voter’s name and address of principal residence. General Primary, Non-Partisan & Special Elections (May 22, 2018 – Election Day) *Voter Registration deadline: April 24th (Early Voting) April 30, thru May 18, 2018 (Early Voting) Saturday, May 12th 9:00 a.m. – 4:00 p.m.
General Election (November 6, 2018 – Election Day) *Voter Registration deadline: October 9th (Early Voting) Oct. 15, thru Nov. 2, 2018 (Early Voting) Saturday, Oct. 27th 9:00 a.m. – 4:00 p.m. Results to be certified by the Georgia Secretary of State Office for this election. Primary closing usually around 8:30 p.m.
General closing usually around 9:00 p.m.
Special closing usually around 8:15 p.m. Attend additional training set by Elections Supervisor when necessary. Poll Worker training is mandatory and is paid $50 once per election listed here above. If you do not work on the Election Day, your training pay will be forfeited! This acknowledges that you have been provided the Poll Worker duties, guidelines and requirements.